Make your way to Miami this August for Miami Spice, the perfect opportunity to enjoy lunch and dinner at some of the finest restaurants in South Florida at a reduced price. 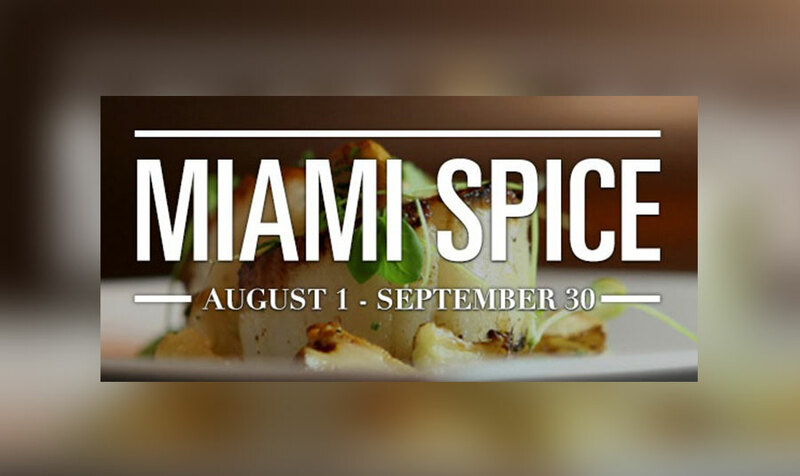 Miami Spice runs from August 1 through September 30, 2016, and attracts hundreds of visitors and locals alike for a grand celebration of food. 243 restaurants around Miami are expected to participate in this year’s event, including the highly-acclaimed BOURBON STEAK by Michael Mina and CORSAIR kitchen & bar at Turnberry Isle Miami. You will pay $23 for lunch and $39 for dinner at these award-winning, sought after hotspots and other participating restaurants serving up special menus in honor of Miami Spice Month. Entice your palate with a choice of appetizers including Charred Octopus Ceviche or Summer Corn Chowder at Michael Mina’s BOURBON Steak, or satisfy your sweet tooth with a Chocolate Fudge Cake or the Salted Caramel Pudding from CORSAIR kitchen & bar. Reservations are recommended throughout Miami Spice months since restaurants will be filling up quickly during peak lunch and dinner hours. Summer in Miami is also a great time of year to explore area museums, shop at Aventura Mall, or just relax at the beach for a few hours. You’ll enjoy easy access to participating restaurants during Miami Spice from the Turnberry Isle Miami. Look forward to enjoying the South Florida lifestyle at our beautiful refuge, a tropical oasis featuring spacious guest rooms and suites. You can relax in your corner of calm with residence-inspired floorplansand modern amenities , including a soaking tub and mini-bar with refreshments. Take a break from it all at our spa and fitness center or add a few rounds of golf to your visit at one of our two 18-hole championship golf courses.